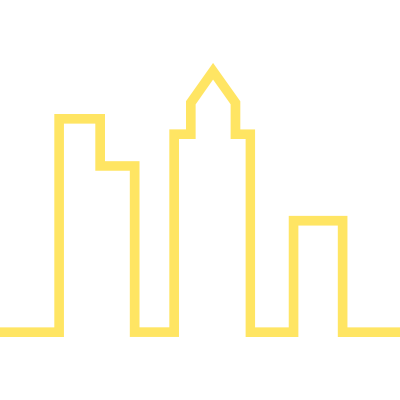 The Girard towers over Market East with luxury apartments and extended stay rooms. The East Market development is the big mixed-use development on Market East, between 11th and 12th Streets. It includes much new retail and restaurants, office space, a new hotel in the historic Stephen Girard Building, and two new residential towers along Market Street. 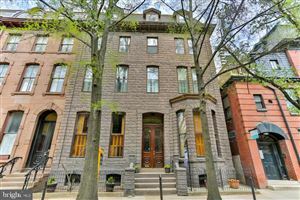 The first tower that was built is The Ludlow, at the corner of 11th and Market. The Ludlow is the first new construction residential tower on Market East in modern times. Now, developers National Real Estate are opening another new apartment tower on the corner of 12th and Market. This new tower is called The Girard and is 22 stories tall, built above the two-story shopping center which has a new Wawa, City Fitness, Iron Hill Brewery, and Little Baby’s Ice Cream. The Girard has 240 rental units, with 160 one-bedroom units ranging from 545 to 899 square feet, 40 one-bedroom units with dens at 836 square feet, and 40 two-bedroom units ranging from 1,098 to 1,238 square feet. The units on the lower five floors of the tower are part of ROOST extended stay hotel’s units. ROOST has a concierge service that can be used by all the building’s residents. The building has many other amenities. There are two outdoor decks. The west deck has an outdoor play area for kids, a dog run, a community garden, and grills and tables. The east deck has a few more grills and tables and a 25 yard lap pool. The two decks are connected by a loggia with sofas, tables, chairs and a TV. The loggia is connected to a lounge and game room, which itself connects to a demonstration kitchen, which can be rented out for events. These rooms are adjacent to a reading nook and library, a co-working space with free wifi; LaColombe coffee; and a fireplace, a theatre with a minibar and a popcorn machine, an indoor kids’ play room, and a business room with a computer and printer. There is a package room with Amazon Hub. There is, also, a fitness center, with a yoga room and fitness classes, and Peloton bikes. Parking is managed by Park America in the underground garage beneath the shopping center for a monthly fee of $385 per month. The apartments will have Fisher and Paykel gas ranges and ovens; microwaves; and refrigerators, Bosch dishwashers, GE washers and dryers, Grohe fixtures, islands with storage and trash, quartz countertops, stall or tub showers, engineered hardwood flooring, and elfa closet systems (with walk-in closets in the two-bedroom units). Market East is coming a long way. Besides East Market, the former Gallery Mall is being renovated into the Fashion District Mall and new businesses are opening up at the Mellon Independence Center. 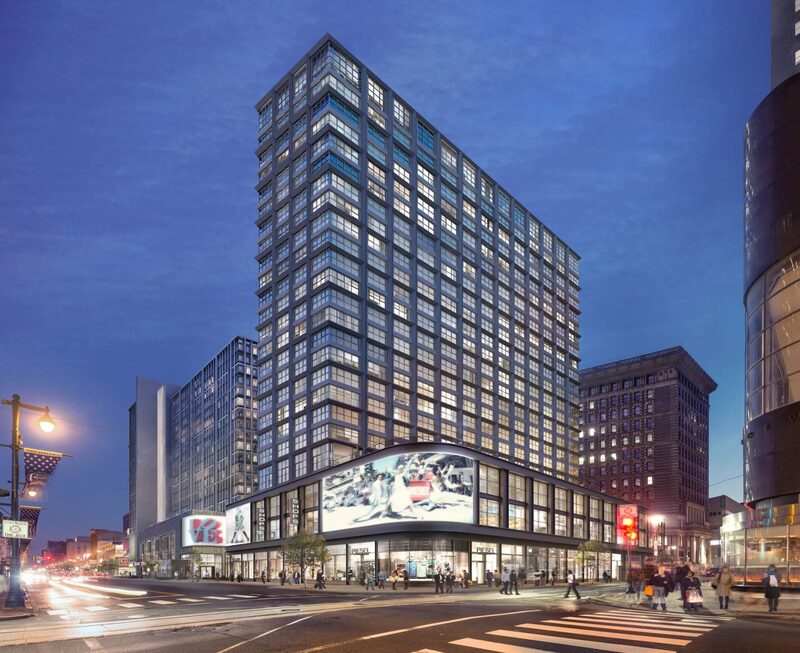 A new 40-story office tower is soon to be built at 13th and Market Streets. 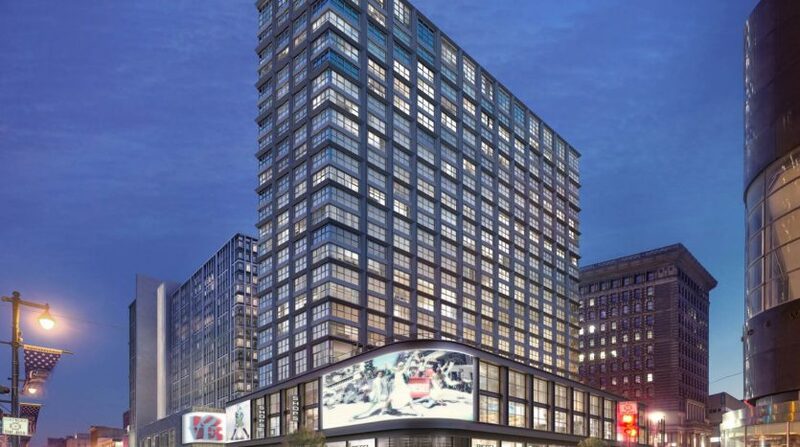 East Market is providing many new uses that continue to further this development and The Girard helps encourage that by continuing the new trend of new luxury residential development on Market East.